Entrepreneurs, marketers and sales teams all need to understand how today’s digitally empowered consumers reach and interact with their brands, and their competitors. 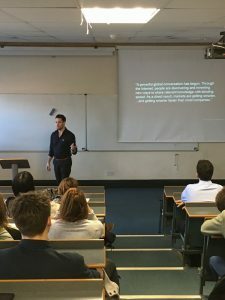 Ben Hackett, Brandwatch, providing students with a guest lecture on understanding the online consumer. 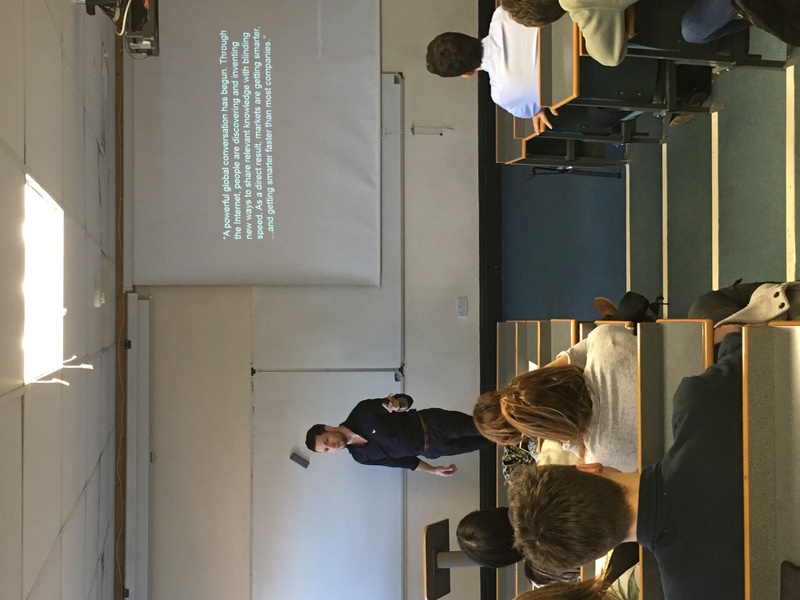 Ben Hackett from Brandwatch recently led a guest lecture to students on how to understand online conversation and data can inform marketing decisions. Brandwatch have offered all our students the opportunity to become ‘Brandwatch qualified’, giving them access to a free training course that covers what social intelligence is and how to use Brandwatch Analytics, their social listening platform which is used by thousands of brands around the world including Heineken, Pepsi, IKEA, Unilever, L’Oreal, Dell and Cisco. Students can also use Brandwatch Analytics to conduct social media research from Twitter, Facebook, Youtube, Instagram and over a million other websites for your degree projects. Tagged Entrepreneurship, Industry, social marketing, Start-up. Bookmark the permalink. such a great opportunity, I would like to participate! !